We Love Turkey. We want you to have the best experience. 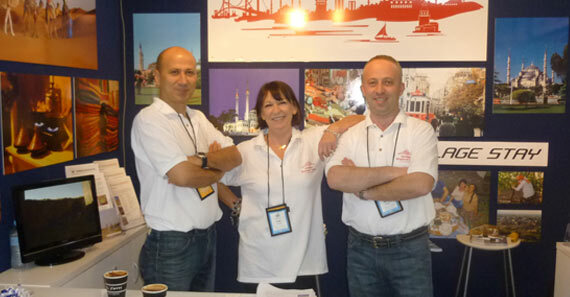 Turkey Travel Guide has been operating in Istanbul for over 5 years through its TURSAB licenced company Gokkaya Tourism. 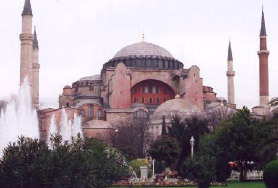 We also own and operate the Ayasofya Hotel, an historic Ottoman Hotel in the old district of Sultanahmet. We have been organizing tours for our guests from Australia, America, England, South Africa, Brazil and many other countries around the world. Our reputation speaks for itself in the testimonials and satisfaction of our many guests over the years. We are on the ground in Istanbul and Turkey! This means your tour is not booked 2nd or 3rd hand through an agency – you will deal directly with people who have travelled in Turkey and know what to see and do and on are on the ground when you arrive and support from start to finish. 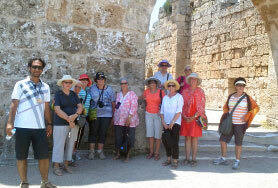 We can tailor make a tour for you! 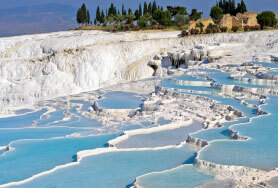 You may want to see the classic sites of Turkey as well as enjoy a stay by the sea, or visit a Turkish village for an experience you will never forget….or perhaps a gulet cruise included with your trip to Cappadocia. Would you like to visit amazing Eastern Turkey….or perhaps walk the Lycian way, kite surf or paraglide – all these things are easy for us to arrange. We generally use smaller boutique hotels in small towns and consider your needs when choosing your accommodation for your tour. 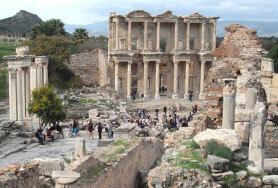 Turkeytravelguide.com, can include things that are unique for our guests, like a night or two in a local Turkish village, time to rest and enjoy the flavour of Turkey at small seaside towns, and off the beaten track activities in Istanbul – things that are not available in large bus group tours. 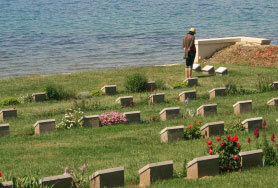 Gaye has spent many years travelling and her first visit to Turkey was in 1995. She came again in 1998 when with her friend Pam she travelled for two months all over Turkey, an epic journey of 7000kms in an old Turkish made Kartel station wagon. During this time she fell in love with a nearby historic Ottoman building which had been converted into a hotel during the 1980s. Gaye took it over in 2009 together with her Turkish business partner and staff set about improving and restoring the building. Ayasofya Hotel now has a reputation as a unique place to stay in the old city of Sultanahmet. Full of character and charm, the hotel is located right next to the rear ancient walls of the Hippodrome, known as the Splendone, where the stables and horses were housed in Roman and Byzantium Times. The area has a very local feel to it and guests comment that they feel like they become part of a community during their stay – vendors call out and wheel their carts past the door, the shoe shine man calls by ! Guests become friends with our local barber and the hotels neighbours! There is a local flavour to everything about Ayasofya. 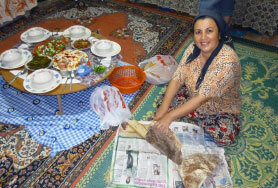 Always happy to share her knowledge of Turkey with her family friends and guests Gaye was encouraged to obtain a TURSAB licence. 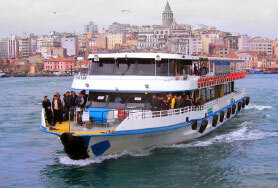 She did this in 2010 and now provides tour services for those who want to travel around Turkey. Not the big bus type, but trips that are individual tailored and organised for those who want a more personalised experience. 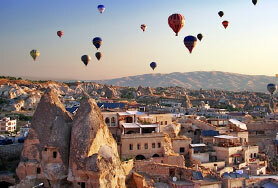 Gaye is passionate about sharing her knowldege of Turkey and Istanbul just for the pleasure of it. She can also put a tour plan can put together a tour that is just what you want! Having spent many years in the corporate world, and born into a very large family of sisters – Gaye has a natural empathy with people from all walks of life and all ages – all with a touch Australian practicality and a lot of humour!